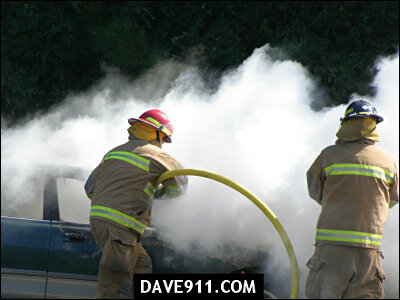 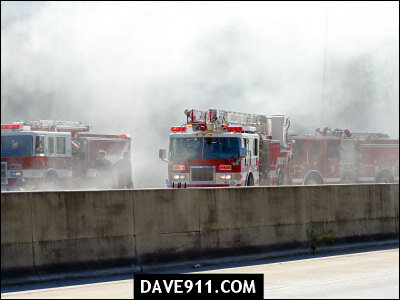 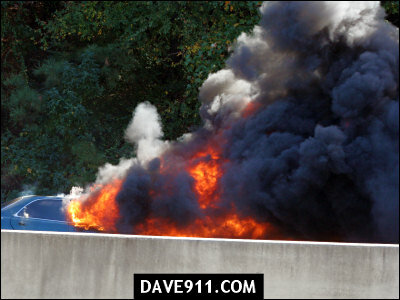 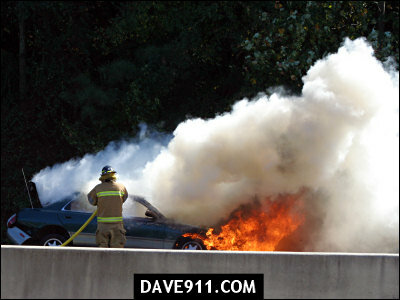 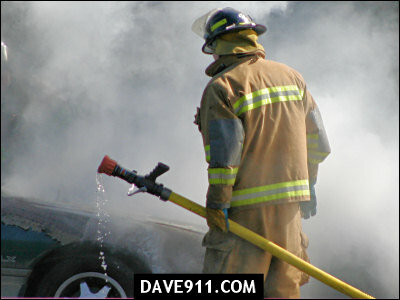 An automobile fire had traffic in the northbound lanes of I-65 at a stand-still this afternoon. 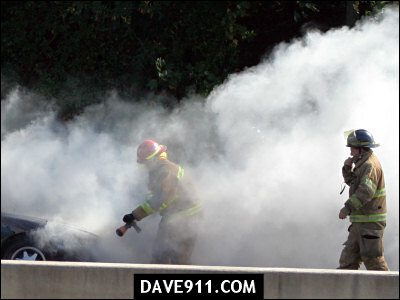 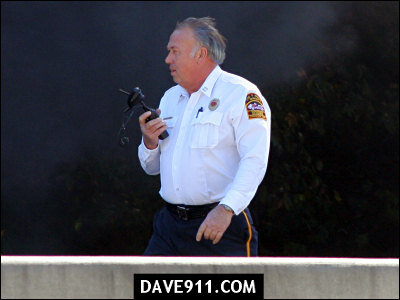 Homewood and Vestavia Hills Fire Departments responded to an automobile that caught fire while being towed on the Interstate. 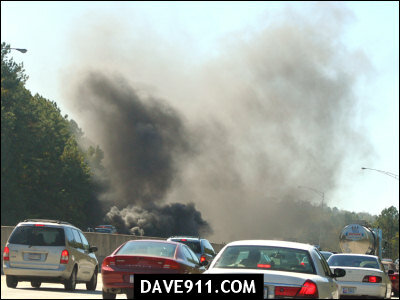 Smoke from the incident, between Lakeshore and Alford Avenue, could be seen for miles. 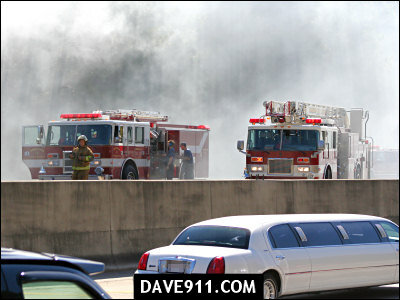 Homewood arrived quickly and began working to extinguish the fire that was being fueled by high winds. 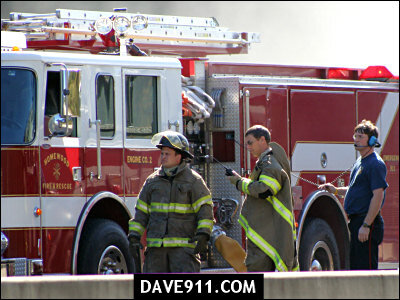 Vestavia Hills arrived soon after to assist.